As part of the Fairfield Collection Project we interviewed many people to capture stories and memories of the Fairfield Halls. 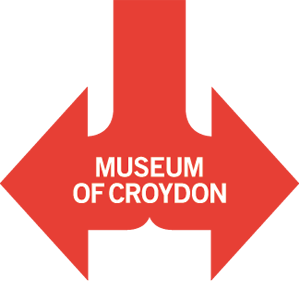 Below is a list of those interviewed, these oral histories are available to listen to via the Museum of Croydon by appointment only. Kenneth Alwyn – Conductor, widely known and associated with Friday Night is Music Night and musical theatre. Andrew Scott – Head Voicer, Harrison & Harrison Organ Builders, Durham. Martin Jarvis – Actor, Director, former student of Whitgift and depicted on the Ashcroft Theatre Safety Curtain. Martin also performed at the Ashcroft Theatre. John Farnham – Sculptor of Winged Figure Number 2, formerly displayed on the forecourt of the Fairfield Halls. Graham Lambourne – Former Fairfield Publicity Officer. Janet and John Sweny – Fairfield Patrons and also celebrated their wedding reception and 50th wedding anniversary celebrations at the Halls. Valerie Heathorn – Fairfield Patron and Heat winner of the Miss Fairfield Pageant. Robert Stiby – Former member of the Fairfield Board/ Exhibitor of art at Fairfield, related to Jesse ward, founder of the Croydon Advertiser.